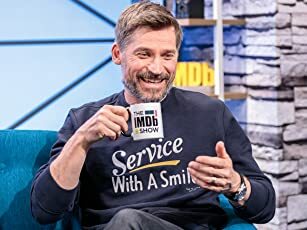 How many episodes of Das Boot have you seen? Das Boot is considered by many one of the best war films ever made. They have been a number of versions, the theatrical cut and the director's cut. The film was financed by German television and the director Wolfgang Petersen converted it into a 6 hour mini-series. The DVD is an epic 4 hour 42 minutes, cut in a seamless fashion. 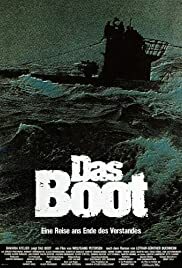 Das Boot is a rare film, a film that tells a story of World War II from the German perspective. It shows the mission of U-96 in the winter of 1941 when the Battle of the Atlantic is turning towards Britain's favour. Britain is using the convoy system, having more supplies from the American merchant navy and the Britain navy is getting better armed, so starving the nation seems hopeless. The crew are on a simple mission of trying to sink as many British ships as possible whilst avoiding British patrol planes and destroyers, a very tough think to do. The focus of Das Boot is on the experienced war weary captain (Jürgen Prochnow) and Lieutenant Werner (Herbert Grönemeyer), a young war corespondent for the German military and an outside to their world. All the characters are individuals, treated with respected, even the only character who is a Nazi is treated like a human being. This is a complex drama about the moral of warfare and the collective spirit of serving in a submarine. It is a tough world where young men are serving in one of the most dangerous fields of war during World War II. This a conflict where they are long moments of boredom in a close environment. This can lead to conflict within the crew. Whilst when the U-Boat does find a convoy it can be a massive struggle between life and death for the whole crew. Das Boot is clearly Wolfgang Petersen best work. He shows the claustrophobic environment of what a U-Boat would have been like. It is a noisy environment, and it can lead to conflict within the crew, but also the crew are also close and have to be because they depend on each other. As well as the moments of boredom to show character development and debate the war, Petersen also knew when to add the tension and made Das Boot an instance experience. He also showed his skill with action. Wolfgang Petersen focused on character development, unlike his Hollywood films. He does not villainize either the British or German navies, or the people who fought in the war. Despite Das Boot is based on a fictional novel, it is one of the most accurate portrayal of naval warfare during World War II. Das Boot has a very 80s score to it, using modern instruments, which surprisingly works, adding to the imagines. I personally would have gone for a more classical score, but that's just me.